Cash is king, no matter the size of your business. 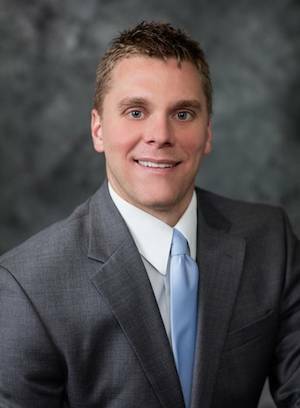 415 Group Partner Chad Isler, CPA, MT, explains why your profit and loss statement doesn’t tell the whole story. From a business owner standpoint, cash is really important. You need to analyze cash flow for the current year and a few years into the future. If you’re only focusing on your profit and loss statement (P&L), you might not see the bigger picture. One of the most common situations that can affect cash flow is financing assets and immediately writing them off. In the following years, you could be paying the principle on the debt without offsetting the deduction. The government incentivizes businesses to purchase assets by allowing them to take accelerated depreciation deductions. This leaves room for a potential cash flow problem in future years when principal payments are being made without the corresponding tax deduction. At 415 Group, we make sure our clients understand how it can affect them. Our advisors will schedule out future debt payments to prevent any issues. For example, if you finance a piece of equipment and write it off the first year, you will still have to make payments on it. This can skew your P&L statement, because it will look like you have a lot of income due to having less deductions. When it comes to cash flow, businesses need to look at their debt and analyze what their situation will look like over the next few years. If you have a five-year note, look at how that will affect you over the next five years. At 415 Group, we go beyond the tax return. If we see something that could affect your cash flow, we’ll let you know. Sometimes it can be an eye-opening conversation. If you have any questions or concerns about your cash flow, give your advisor at 415 Group a call. We can help you schedule out payments, so you know where your business is headed. Create a cash flow statement and analyze it monthly. The primary objective of a cash flow statement is to help you budget for future periods and identify potential financial problems before they get out of hand. This doesn't have to be a complicated procedure. Simply prepare a schedule that shows the cash balance at the beginning of the month and add cash you receive (from things like cash sales, collections on receivables, and asset dispositions). Then subtract cash you spend to calculate the ending cash balance. If your cash balance is decreasing month to month, you have negative cash flow and you may need to make adjustments to your operations. If it's climbing, your cash flow is positive. Bonus tip: Once you have a cash flow statement that works for you, try to automate the report in your accounting system. Or even better, create a more traditional cash flow statement that begins with your net income, then make adjustments for non-cash items and changes in your balance sheet accounts. Manage your growth. Take care when expanding into new markets, developing new product lines, hiring employees, or ramping up your marketing budget. All require cash. Don't travel too far down that road before generating accurate cash forecasts. And always ask for help when needed.